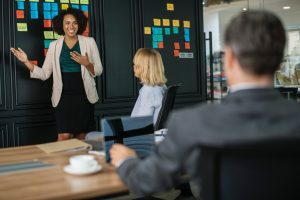 You may have already heard the buzz over Grow with Google, the new initiative in which corporate trainers from Google will be hosting in-person workshops for job seekers, small businesses, librarians and nonprofit leaders. In late January, Google began delivering this workforce-development and job-search training to public libraries, one state at a time. 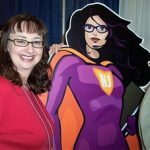 As NJSL covered in a recent post, it’s not clear when it will happen in New Jersey, but the State Library is gearing up so the NJ library community will be ready when the time comes. In the meantime, Google has a different project that public libraries can take advantage of immediately; it’s called Google Ad Grants. 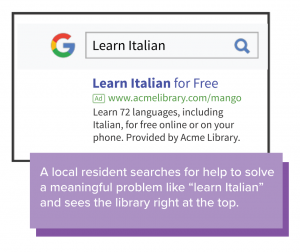 As the name suggests, Google is giving out free money—well, actually, in-kind advertising—that public librarians can use to buy ads that will appear at the top of Google search results. Submit info to make sure your library qualifies. (TechSoup partners with Google to validate nonprofit status.) This is a long-term program, with no end in sight, so there is no deadline. 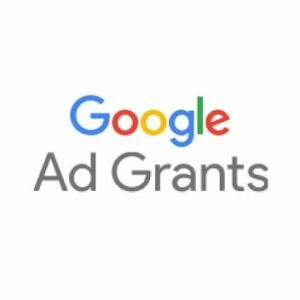 After you’ve sent your info and set up your Google for Nonprofits account, you can apply for the Google Ad Grants program. The application takes just 3 to 4 hours to complete. You’ll get a response within 2 weeks. Once you’ve qualified, you’ll have access to tools to help you plan your Google Ad campaigns. You can use your grant to advertise anything — your library’s collections, services, special events, classes, Summer Reading Program — whatever you want your service population to know about. And there’s no cost to you! As with most grants, you need to follow the application protocols very carefully (but you can resubmit if you’re initially denied). The grant will continue indefinitely, and you must stay in compliance with its changing regulations. You’ll need someone to continuously plan, run, and assess your ad campaigns. It will help if you have a staff member with marketing / promotion / advertising knowledge. In the same way that social media is “free,” using Google Ad Grants is “free.” While there’s no cost to have social accounts or to post to them, you do need to devote some staff time and expertise to look after the accounts. So it is with this program (or with any advertising campaign); you need someone to administer it. If your library doesn’t have staff members with that expertise or time, there are various companies that can handle that work for you. Your best bet is to find a marketing firm that knows the ins and outs of Google Ad Grants. One company that I am working with, Koios, believes in helping libraries, so they’ve become experts on the Ad Grants program. Even before you apply for the grant, Koios staffers are willing to explain the process in more detail, show you a quick demo, and help with your application — all free of charge and free of obligation. Once you’ve secured the grant, Koios offers a free, one-month trial of its service, Koios Ads. The service gives you expert help with creating ads and bidding on their placement, along with full data analysis. You do not have to use the Koios Ads service to take advantage of Google Ad Grants; you can administer the grant yourself. If you want help, however, you can seek out a firm that can offer guidance and support. No matter which way you go, it makes a lot of sense to use this grant support. Who doesn’t want free advertising, right? We know that most people begin their searches on Google, not on a library website. 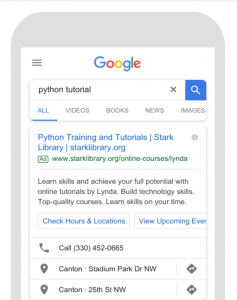 Using Google Ad Grants to get your library’s message and link to appear on top of people’s search results can help move people from the open web into your own website, where the more trustworthy, vetted information is. Kathy Dempsey is an internationally recognized library marketing consultant who calls New Jersey home. She’s happy to help librarians spend Google’s money. You can reach her at Kathy@LibrariesAreEssential.com. Although there are now more ways than ever to promote your public library news, there is nothing quite as powerful as being featured in the local newspaper or appearing on local television. However, it’s not always easy to convince journalists to cover the library. That’s why it’s worth brushing up on your public relations skills. The good news is that you don’t need to take a class or earn a degree in PR (though it’s definitely worth it!). 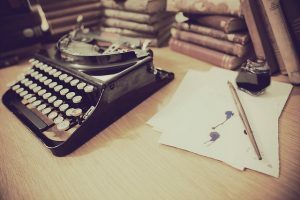 There are many fantastic PR experts on the web who write frequently about the profession and share best practices for connecting with the media. However, the five blogs listed below are considered must-reads by PR professionals. I recommend checking them out and adding them to your regular reading list. You’ll find lots of useful advice about every aspect of media relations and plenty of tips to help you secure coverage. The Public Relations Society of America calls itself “The Voice of Public Relations” for a reason. They provide PR news & industry updates, articles and resources every few days, so it’s a great website to visit regularly. Topics and categories range from ongoing PR training to thought leadership and ethics. There’s even a widget that tells you how long you’ll spend reading a piece (most are three to five minute reads). A recent blog post explains how to create and maintain an editorial calendar: a must-read article for a must-have skill! This tell-it-like-it-is team led by Gini Dietrich writes about current issues and trends in marketing, communication, social media, entrepreneurship, search engine optimization (SEO) and advertising. They also expose bad PR and marketing practices. Rated as one of the top PR blogs by Forbes and others, it also features a different guest blogger every week across a wide range of industries. A helpful hit for librarians is their August piece on visual storytelling that encourages creativity in branding. Agility PR publishes multiple times daily on every current topic and industry you can think of. That being said, this website’s greatest value for librarians lies in its “Deep Dive Resources” section that provides all types of materials and guides to take your PR game to the next level. This company is known for its range of PR services, such as media databases, press release distribution, and media monitoring. But did you know that their blog features best communications practices and media news? Even better, they host an “Executive Insights” section written by C-suite executives. These thought leadership pieces cover PR strategy from a corporate leader’s view. Their three-minute “modern communicator” quiz is short and fun, while still providing valuable feedback based on your result. Just remember to subscribe first. If you enjoy learning from a variety of communications outlets, CommPRO.biz has you covered. 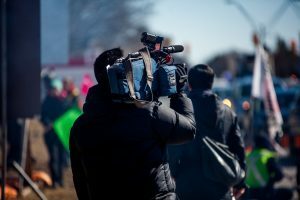 Webcasts, on-demand videos, and live streams are just a few of the ways they provide insight into best practices for PR and media relations. This website covers a wide range of communications topics – not just PR – but corporate communications, marketing and social media too. In our digital age, there’s so much cross-over between disciplines that this diversity can be very valuable. You will find that many topics are just as relevant to PR as they are to marketing. Did you know that your social media channels can help improve your public library’s ranking in search results? It’s true: While social media activity isn’t a ranking factor in search engine algorithms, it does have the potential to improve your search engine optimization (SEO). 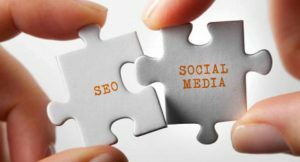 SEO and social media are highly complementary strategies that reinforce one another when implemented correctly. Just as improving your search ranking will draw more potential audiences to your social media, your social media presence, in turn, can move you up higher in search results. The number of followers and impressions on your social media has an impact on your ranking in search results, as well as the frequency of your content appearing on the coveted first page of a search. (Remember: first page results = more potential views and click-throughs!) However, the quality of those followers counts, so buying “proxy,” or bot followers, will not help rankings. Instead, focus on developing a unique and consistent brand. It’s important to use the same voice to share useful articles, resources and discussions at peak times. For example, if you want to share an in-person event at the library to increase attendance, first pose a relevant discussion question with appropriate hashtags. Then, engage in the conversation and reply directly. At the event, you may choose to “live-tweet” and engage in additional discussion online to increase awareness for future events. This process of close engagement and personalization will build an organic and genuine base of interactive followers that contribute to your authority in the online space and encourage additional followers with interests aligned to your brand. As part of your social media marketing, focus on sharing content from other websites and resources as well as your own. We know that links are one of the top Google ranking factors, and while social media shares are not directly quantified as links within the search engine, there is a correlation between popular social media posts with credible content and the likelihood of viewers following your page and linking your original content around other areas of the web. In addition, brand association, while not a direct indicator for search results, has the ability to draw in audiences from others’ similar following. You should include your own content while commenting on existing threads and discussions whenever possible, such as those brands you want to be associated with. Optimize your posts for search engines. Google leans towards content that uses high-quality news articles, credible soundbites of information relevant to your industry keywords (known as Knowledge Graph entries), and popular social media updates and hashtags. To ensure you’re posting impactful content, start with a strong “anchor,” such as an infographic, article, video, etc. Then, frame the text for a specific query by weighing potential keywords in terms of current timeliness, popularity and even seasonality. For more information, MarketingProfs has a social media “cheat sheet” that helps to quickly identify marketing trends on specific social media outlets, such as Facebook and Twitter. By aligning your social media marketing efforts with your search optimization plan, you can drive more traffic to your website, encourage more people to sign up for events, and expand your reach within the community. In August, the Denver Public Library held an unusual fundraiser: It partnered with a local tattoo studio to ink literary-themed tattoos. The event raised money for the library’s foundation, but it also succeeded in creating brand awareness with news coverage on local television. Library news on local television is a win for everyone. The station has a positive community story to fill their airwaves. You gain more exposure for whatever is happening at the library. The community discovers there’s more to the library than books. Local TV is an important media outlet for your promotional efforts for all of these reasons. But here’s another: Although local TV news viewership declined in 2017, it still has a wider reach than cable and network news or even, for the moment, social media, according to the Pew Research Center. A spot about the library on local TV, then, can have a significant impact on your marketing results. But how do you persuade the local news team to cover your story? Here are a few tips for making the perfect pitch. The staffing structure of a public television station can be a confusing web to navigate if you haven’t experienced it before. The talent — those individuals appearing in front of the camera — may be the face of the station, but it’s the producers who decide which stories make it on air. Reaching out to a show’s news producer gives you the best shot at getting your story covered. But it can be tricky to find the name and contact information of the person to pitch. PR professionals often have access to media databases, such as Cision, but these tools are costly. Fortunately, many newsrooms post their staff directories on their website. If producers for specific shows aren’t named, call the newsroom directly and ask who to pitch. Before you start writing, it helps to understand the news priorities of your local broadcast. News programs want to cover the most compelling stories they can, but local teams also have a goal of spreading news about their community. A straightforward and to-the-point pitch is the most appealing to producers. Highlighting the most interesting part – “the hook” – of your story is key. Be sure you provide enough detail to give the producer a good sense of your news, but don’t feel compelled to include every detail. Another important aspect to your pitch is the visual element. If a local television station were to come and cover your story, what would they film? If it’s an event, there will be a lot for camera crews to capture on site. But if there isn’t an obvious on-camera image, it’s important to brainstorm visuals that you can then pitch to the producer. The final thing to remember is your audience and, more importantly, the station’s audience. Focus your pitch on what makes this news important to members of the community, beyond how it directly benefits the library. 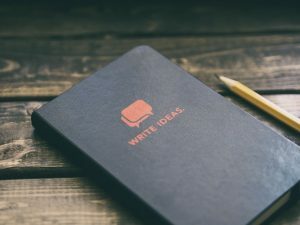 Thus, when crafting your pitch, ask questions such as ‘How does this story impact the community?’ and ‘If I were a member of the community tuning into this story, why would it be interesting to me?’ The answers will help convince local television stations that your story is worth covering. Start by emailing your idea but keep in mind that producers are often overwhelmed with pitches. So, if you don’t hear back after a couple of days, call the station and ask to speak to the producer. It is important, however, not to be too pushy. Listen for context clues in the person’s voicemail. Maybe they’re out of town for the week or are out sick. If you’re unable to reach someone, head back to the station’s website to determine the next-best point of contact. Also, don’t be tempted to send your pitch to a generic ‘info’ email account. While the right person might receive it eventually, there’s a risk they’ll get it long after the news window has closed or not at all. Persuading local television stations to cover your stories can be tricky, but the end result — getting a minute or two of live news coverage in front of thousands of viewers — is worth it. As a gathering place for business professionals, LinkedIn can be a valuable social media channel for public libraries. More than 100 million people use the site monthly, and the average CEO has 930 LinkedIn connections, according to Brandwatch. Thus, it’s an excellent avenue for connecting and building relationships with local entrepreneurs, job seekers and freelancers. If LinkedIn hasn’t been part of your public library strategy, there are a few things to keep in mind. To be active on the network, you’ll need to set up a personal profile. But to get the full benefits of LinkedIn, your public library should have its own company page. Local business professionals can then follow the page and, as you share library news, it will show up in their LinkedIn news feeds. You’ll also want to explore LinkedIn Groups, which offer like-minded professionals the opportunity to discuss best practices, get advice and gather ideas about their areas of specialty. Groups can help you share information about relevant library events with an interested audience. What’s more, you can create a group dedicated to a topic of interest to your community, such as small business resources. Unlike other social media channels, LinkedIn doesn’t require as many resources to manage. One to three updates a week is sufficient, and if you choose to advertise an event, the cost can be reasonable. To get you started, here are 10 ways you can use the social network to engage local businesses and professionals. Post news about the library. 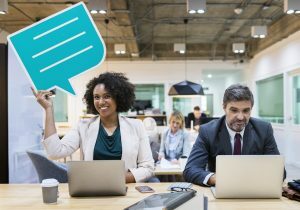 Although your updates should be relevant to a business-oriented audience, take advantage of the civic-minded nature of many small business owners. Use your page as a way to encourage support of the public library, from donations to board seats. There are several local business groups that you can join, such as the local chambers of commerce, networking groups or trade associations. Share details about your event spaces and business resources, as well as cultivate connections to help you advocate for the library. Engage career and job seeker groups. Members are most often looking for their next opportunity or assistance in their job search. Promote networking events as well as library databases that can help candidates discover companies that match their interests. Cultivate local entrepreneur and small business groups. Besides sharing information about library business events and resources, use your membership to identify business people who can speak at your next workshop or help with advocacy efforts. Start your own discussion group. This is an excellent way to start a two-way conversation with library stakeholders. A library-owned group can provide valuable information about pressing business and community issues, as well as solicit feedback on library services. Running a business event? Advertising on LinkedIn can be an economical way to attract local professionals. For more about how to advertise, check out this beginner’s guide from Hubspot, as well as these instructions from LinkedIn. Be careful, though, about setting a budget and a time-frame for your campaign. The costs can add up quickly, though it is possible to run a short campaign with a small budget. Publish articles about how to use business resources. Start a discussion about the latest business book. Find business experts to speak at your next career fair or as an instructor for professional workshops. Use for your own professional development. Join public library groups, including ALA’s group. Using LinkedIn can help you extend your library’s outreach to a wider audience within your local business community. With very little effort, you can promote public library resources, events and workshops and cultivate stronger relationships with local business professionals. Consider this scenario: The school board has proposed a new referendum to build a new gymnasium. The chamber of commerce is holding a job fair. Next year is the town’s bicentennial. Yet, as important as these events are to the community, the town’s residents aren’t likely to hear about them. In what is becoming the new normal across the U.S., the local newspaper folded recently, creating a news desert. There is hope, though. Some public libraries are filling the void, reports The Atlantic. Google may offer easy access to information, and Facebook may allow us to stay close to family and friends. But the business model for both is grounded in advertising. For more than a decade, the tech giants have competed with newspapers for local advertising dollars and won. As revenues dropped, newspapers cut staff and pared back daily editions. As a result, more communities are left without a local newspaper. Over the same period of time, public libraries have evolved into community centers, giving them more first-hand access to news about events and happenings around town than ever before. What’s more, the public library is staffed with people who are experts at conducting research and who are well-trained to distinguish between fact and fiction. Thus, public libraries are in a unique position to flower the news desert by keeping the community informed. While this is great for residents, acting as town crier is also a big advantage for public libraries. Why? It’s a fantastic way to market your events and services as well. 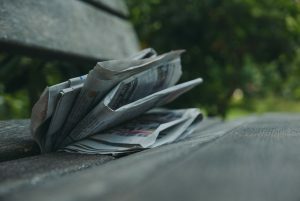 Here are just a few of the ways public libraries can help to fill the gap in local news coverage by using their websites, newsletters and social media channels. Use your website to list upcoming community events, not just your own. There are numerous calendar applications you can plug into your content management system. Also, consider featuring non-library events on your blog. Write profiles of key figures around town or interview them on video or audio to post on your YouTube channel. Be a resource for elections. Help voters understand their rights and provide objective and balanced information about candidates and ballot issues. Partner with schools and use your social media channels to keep the public informed about key academic dates and activities. According to a recent survey about voter perceptions and public library support conducted by OCLC, 58% of respondents believe public libraries advance education. A healthy community is also prosperous. Ask health experts and officials to run workshops in the library or pen articles for your newsletter or blog. The opioid crisis has hit many communities hard, and those affected are turning to the library for more information. For resources, news and discussion about how to respond, the Public Library Association and WebJunction have created a Facebook page: Libraries and the Opioid Crisis. Public libraries often have vibrant communities on social media. Use these channels to keep the community informed and engaged about things happening in town – not just in the library. Use your Facebook page, your Twitter account and Instagram to post, tweet and publish about upcoming events. Eventually, the community will come to recognize what a valuable resource the library is for local news. 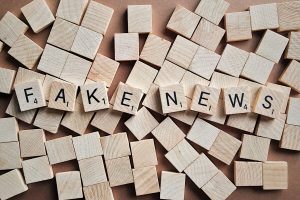 You can’t replace the investigative qualities of the newspaper, but you can keep local citizens apprised of breaking news and upcoming events and activities that will benefit them. To create the kind of content that will attract fans, followers and readers to your public library marketing channels is a time-consuming process, as we all know. With all the other things your public library staff must handle, wouldn’t it be great to find ways to streamline it? Look no further. Here are 12 tools that simplify the task and improve quality. Have you tried any of these tools? What others have you used? Let us know in the comments below! Has your inbox suddenly been flooded with requests from businesses to opt-in to their email communications? You’re not alone. Many American companies are updating their email lists to document permission from subscribers. The move is in response to a new European Union regulation that extends further data privacy protections to EU citizens, which took effect on May 25, 2018. Many of these businesses operate globally, and as a result, the regulation directly affects their operations. However, you also may be curious about how the rule – called the General Data Protection Regulation or GDPR – may impact your public library’s email marketing program. We wondered too, so here’s a quick FAQ plus some useful resources. The regulation is designed to give EU citizens more control over their personal data and to unify data protection regulations within the EU. It impacts any business operating in Europe. If this is an EU regulation, do U.S. public libraries really need to be concerned about it? There’s a very slim chance that EU citizens are on your email subscriber list. However, just as many American companies are complying with the law voluntarily, you may want to do so as well. In fact, though laws in the U.S. are unlikely to change, voluntary compliance with GDPR may become a best practice for marketers. The rule offers stricter protections than U.S. laws offer. Consumers clearly benefit because they have higher confidence in how their data is being used. But there’s an upside for marketers too. When subscribers opt into your email list, that’s an indication that they want to hear from you. 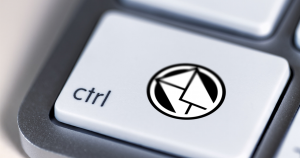 So, you’re likely to get fewer unsubscribes and – potentially – higher click-throughs. How does this impact my email list? Should I ask subscribers for documented consent? The GDPR requires businesses to obtain documented consent from their contacts. In the U.S., the law permits implied consent, which is inferred from a contact’s actions. For example, donors have an existing relationship with an institution, which implies consent. Most email marketing service providers offer instructions on how to obtain documented consent from your email subscribers. Constant Contact covers the topic in a blog post here, while MailChimp discusses the subject here. Although U.S. public libraries probably won’t be subject to the EU rule, it’s a good idea to check with your attorney to be sure. If you choose to voluntarily follow the rule, this handy infographic from MarketingProfs provides a GDPR compliance checklist for marketers. Here’s one surefire way to grab the attention of your audience: Add an image to your social media posts. With reader attention span shrinking and the volume of content expanding exponentially, your content must stand out. Visual content is effective because most social media users will gravitate to it instinctively. Research continues to prove the impact of image posts on social media engagement. On Facebook, posts with images receive three times more engagement than text-only posts, according to Search Engine Journal. On Twitter, tweets with images are retweeted 150 percent more than tweets without visual content. Of course, you want your images to look good on every social network. But it can be challenging because every channel has its own size requirements. To complicate things further, these guidelines often change from year to year. That’s why it’s useful to have an up-to-date resource that collects all social media image sizes in one place. The infographic below, courtesy of Postcron, covers image sizes as of January 2018. It’s fairly comprehensive, too, covering Facebook, Twitter, Instagram, LinkedIn and more. Use image editors such as Pixlr and Picmonkey to optimize your posts and make them more attractive. Be sure to bookmark this page, so you can easily reference the sizes as you create visual content for each of your social media channels! The unrelenting pace of social media can tire even the most creative of public library marketers. What do you do if you’re approaching burnout? Whenever the well starts to run dry, turn to the Brain Pickings website for inspiration. This collection of fascinating items is curated by Maria Popova, herself a writer. 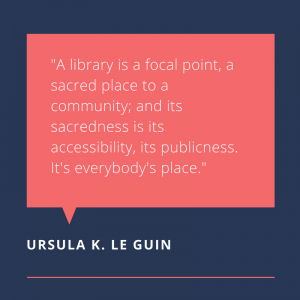 Among her vast trove of literary, science and art picks are numerous tidbits from writers and others about the impact of libraries. Here are a few options to consider for your social media channels. Anyone who has ever shared a quote image on Instagram will understand its appeal to readers. Brain Pickings offers some compelling quotes from writers, poets and librarians. Use PicMonkey or Canva to create a simple image quote to share with your fans and followers. Short video clips are very popular with social media users, and Popova has a few that are directly related to libraries. Here are a few to share. The Temple of Knowledge from StoryCorps is an animated video short that describes how a library can change a person’s life. ~ This quote is by Storm Reyes, now a librarian herself, from an essay accompanying this video short, about the impact the bookmobile had on her life.